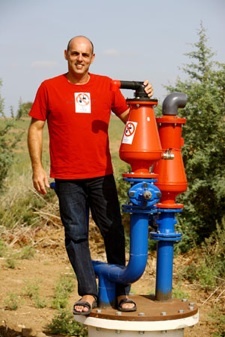 Benny Chefetz is Professor of Environmental and Soil Chemistry and the head of the Department of Soil and Water Sciences of the Robert H. Smith Faculty of Agriculture, Food and Environment of the Hebrew University. His main research scope is to enhance the knowledge and understanding of the fate and interactions of organic pollutants such as pesticides, pharmaceuticals, EDCs and other anthropogenic compounds primarily in the agro-environment – soil and water. Primary focal areas are: (i) the fate (sorption-desorption, degradation and transformation, transport and plant uptake) of xenobiotics originating from reclaimed wastewater in agricultural ecosystems; (ii) mobility of pesticides in soils; (iii) the role of plant cuticular matter as natural sorbent for organic pollutants; and (iv) plant materials as a matrix for fabrication of metallic ions to nanoparticles. Benny is the PI on the Center’s project: Serum Carbamazepine Levels Among Healthy Israeli Volunteers and Xenobiotics originating from reclaimed wastewater: Uptake by crops and exposure assessment.